The Tombs of Buganda Kings at Kasubi constitute a site embracing almost 30 ha of hillside within Kampala district. Most of the site is agricultural, farmed by traditional methods. At its core on the hilltop is the former palace of the Kabakas of Buganda, built in 1882 and converted into the royal burial ground in 1884. Four royal tombs now lie within the Muzibu Azaala Mpanga, the main building, which is circular and surmounted by a dome. It is a major example of an architectural achievement in organic materials, principally wood, thatch, reed, wattle and daub. The site's main significance lies, however, in its intangible values of belief, spirituality, continuity and identity. Les tombeaux des rois du Buganda à Kasubi s'étendent sur près de 30 ha de collines dans le district de Kampala. La plus grande partie du site est une zone agricole, exploitée selon les méthodes traditionnelles. Son centre, au sommet de la colline, est l'ancien palais des Kabakas du Buganda, construit en 1882 et transformé en cimetière royal en 1884. Quatre tombes royales se trouvent maintenant dans le Muzibu Azaala Mpanga, le bâtiment principal de plan circulaire et surmonté d'un dôme. C'est un exemple important de réalisation architecturale en matériaux organiques - bois, chaume, roseaux et enduits en particulier. La signification essentielle du site réside toutefois dans sa valeur immatérielle faite de croyance, de spiritualité, de continuité et d'identité. تمتد قبور الامراء في بوغندا على 30 هكتارًا من التلال تقريبًا في مقاطعة كمبالا. ويشكل اكبر جزء من الموقع منطقة زراعية مستثمرة بحسب الاساليب التقليدية. ويقع في وسطها، أي على قمة التلة، قصر قديم للقبقاس في بوغندا وهو قد شُيّد في العام 1882 وتحول الى مقبرة ملكية في العام 1884. ويوجد اليوم في موزيبو ازاعلا مبانغا 4 قبور ملكية وهو المبنى الاساسي الدائري الشكل الذي تعلوه قبة. انه مثال مهم للتنفيذ الهندسي من المواد الطبيعية: الخشب والقش والقصب والطلاء على وجه الخصوص. اما الدلالة الاساسية لهذا الموقع فتكمن في قيمته غير المادية التي تتمثل في الايمان والروحية والاستمرارية والهوية. Захоронение королей Буганда в Касуби, округ Кампала, расположено на холме и имеет площадь около 30 га. Большая часть его территории используется для нужд традиционного сельского хозяйства. В его ядре на вершине холма стоит бывший дворец правителей Буганды «кабака», построенный в 1882 г. и превращенный в королевскую усыпальницу в 1884 г. В Музибу-Азала-Мпанга, главном здании дворца, имеющем круглую форму и увенчанном куполом, ныне находятся четыре гробницы. Это выдающееся произведение архитектуры, выполненное из природных материалов, в основном – древесины, соломы, тростника, прутьев и глиняной обмазки. Главное значение объекта связано с нематериальными ценностями, такими как вера, духовность, преемственность развития и национальная самобытность. Emplazadas en Kasubi, las tumbas de los kabakas (reyes) de Buganda ocupan unas 30 hectáreas de colinas del distrito de Kampala. La mayor parte del sitio es una zona agrícola cultivada con métodos tradicionales. En su centro, en la cima de una colina, se alza el antiguo palacio de los kabakas construido en 1882 y transformado en cementerio real en 1884. El Muzibu Asala Mpanga –edificio principal de planta circular rematado por una cúpula– alberga hoy cuatro tumbas reales. Es un ejemplo notable de obra arquitectónica realizada con materiales orgánicos: madera, paja, juncos, cañas y adobe. No obstante, la importancia del sitio estriba en su valor inmaterial, ya que está íntimamente vinculado a las creencias y la espiritualidad de la población, así como a las nociones de continuidad e identidad. De Tombes van Buganda-koningen bij Kasubi beslaan bijna 30 hectare heuvellandschap in het district Kampala. Het grootste deel van de omgeving is landbouwgebied, bewerkt volgens traditionele methoden. In de kern van het gebied, op de heuveltop, ligt het voormalige paleis van de Kabakas (koningen) van Buganda gebouwd in 1882 en in 1884 verbouwd tot koninklijke begraafplaats. Vier koninklijke tombes liggen in de Muzibu Azaala Mpanga; het ronde, met een koepel bekroonde hoofdgebouw. Het is een belangrijk voorbeeld van een architectonische constructie van organische materialen. Het grootste belang van deze site zijn echter de niet-materiële waarden van geloof, spiritualiteit, continuïteit en identiteit. The Tombs of Buganda Kings constitute a site embracing 26.8 hectares of Kasubi hillside within Kampala City. The site is the major spiritual centre for the Baganda where traditional and cultural practices have been preserved. The Kasubi Tombs are the most active religious place in the kingdom, where rituals are frequently performed. Its place as the burial ground for the previous four kings (Kabakas) qualifies it as a religious centre for the royal family, a place where the Kabaka and his representatives carry out important rituals related to Buganda culture. The site represents a place where communication links with the spiritual world are maintained. Its spatial organization, starting from the border of the site marked with the traditional bark cloth trees, leading through the gatehouse, the main courtyard, and culminating in the large thatched building, housing the tombs of the four Kabakas, represents the best existing example of a Baganda palace/burial site. At its core on the hilltop is the main tomb building, locally referred to as the "Muzibu-Azaala-Mpanga" which is a masterpiece of this ensemble. A tomb building has been in existence since the 13th century. The latest building was the former palace of the Kabakas of Baganda, built in 1882 and converted into the royal burial ground in 1884. Four royal tombs now lie within the Muzibu-Azaala-Mpanga. The main tomb building, which is circular and surmounted by a dome, is a major example of an architectural achievement that was raised with use of vegetal materials comprised of wooden poles, spear grass, reeds and wattle. Its unusual scale and outstanding details bear witness to the creative genius of the Baganda and as a masterpiece of form and craftsmanship, it is an exceptional surviving example of an architectural style developed by the powerful Buganda Kingdom since the 13th Century. The built and natural elements of the Kasubi Tombs site are charged with historical, traditional, and spiritual values. The site is a major spiritual centre for the Baganda and is the most active religious place in the kingdom. The structures and the traditional practices that are associated with the site are one of the exceptional representations of the African culture that depict a continuity of a living tradition. The site's main significance lies in its intangible values of beliefs, spirituality, continuity and identity of the Baganda people. The site serves as an important historical and cultural symbol for Uganda and East Africa as a whole. Criterion (i): The Kasubi Tombs site is a master piece of human creativity both in its conception and its execution. Criterion (iii): The Kasubi Tombs site bears eloquent witness to the living cultural traditions of the Baganda. Criterion (iv): The spatial organization of the Kasubi Tombs site represents the best extant example of a Baganda palace/architectural ensemble. Built in the finest traditions of Ganda architecture and palace design, it reflects technical achievements developed over many centuries. Criterion (vi): The built and natural elements of the Kasubi Tombs site are charged with historical, traditional, and spiritual values. It is a major spiritual centre for the Baganda and is the most active religious place in the kingdom. The boundary of the land on which the tombs are located is clearly marked with the traditional bark cloth tree (Ficus sp.) and coincides with the 1882 traditional boundary. The live markers have been useful in keeping away land encroachers for housing construction and other developments, thus maintaining the original land size. The architectural palace design that comprise of the placement of the buildings, and tombs/ grave yards of members of the royal family around the Muzibu-Azaala- Mpanga reflecting the traditional palace structure is still being maintained in its original ensemble. Although the recent fire tragedy, that destroyed the main tomb building, means that one key attribute is now missing, the cultural traditions associated with building in poles, spear grass, reeds and wattle are still vibrant and will allow the recreation of this tomb building. The other traditional structures are still in place and the key attributes related to traditional ceremonial and religious practices and land tenure and land use practices are still being maintained. The authenticity of the Tombs of the Kings of Buganda at Kasubi is reflected in the continuity of the traditional and cultural practices that are associated with the site. The original burial system of the Kabakas of Buganda is still being maintained. The placement of Muzibu-Azaala- Mpanga in the middle of other buildings around the large central courtyard (Olugya), with a forecourt containing the drum house and entry gate house, are a typical ensemble of the Buganda Kingdom palace. The practice of using grass thatched roof resting on structural rings of palm tree fronds is still being maintained as well as the internal elements and finishing materials such as the long wooden poles wrapped in bark cloth decoration. Although the authenticity of the site has been weakened by the loss to the fire of the main tomb structure, the building's traditional architectural craftsmanship and the required skills are still available to allow it to be recreated. This factor, coupled with the extensive documentation of the building, will allow an authentic renewal of this key attribute. Managed by the Buganda Kingdom, the property was gazetted a protected site under Statutory Instrument No. 163 of 1972 and under Historical Monument Act (Act 22 of 1967). This legal status was further strengthened by the National Constitution (1995). The Historical Monument Act protects the Kasubi Tombs from residential encroachment or any other purpose inconsistent with its character. The land that hosts the Tombs is titled under the Land Act (1998). The land title is registered in trust of the Kabaka (King) on behalf of the Kingdom. The protection of the site is further strengthened by the various Tourism Policies of Uganda. The site has an approved General Management Plan (2009 - 2015). A Site Manager is in place. The greatest threat to the site is fire. There is a need to develop a detailed Risk Management Plan to address this threat, in particular, and to ensure that site documented is as complete as possible and securely stored. In order to ensure that the traditional building processes associated with the site are maintained over time, there is an on-going need to train young educated people. 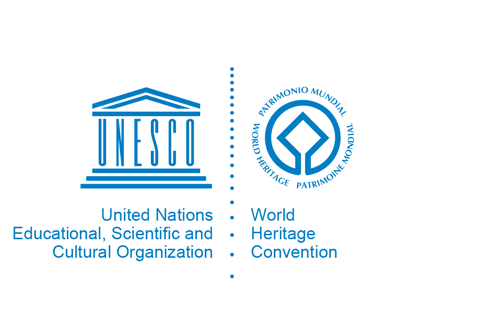 There is a need to ensure that the principles guiding the recreation of the main tomb building are agreed by all the key stakeholders - the UNESCO World Heritage Committee, the Buganda Kingdom and the Government of the Republic of Uganda, and that the process of recreating the building is systematic, based on evidence and adequately recorded.